This is a list of 19 Serial Killers that were active during 1958. 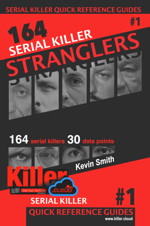 Killer.Cloud the Serial Killer Database, an ongoing research project which aims to sort and classify serial killers based on documented references from books written about serial killers as well as other online resources listed at the bottom of each killers profile page. The Serial Killers listed above were active during the year of 1958.